Saphire is a dark, but simple skin, nothing fancy about it. 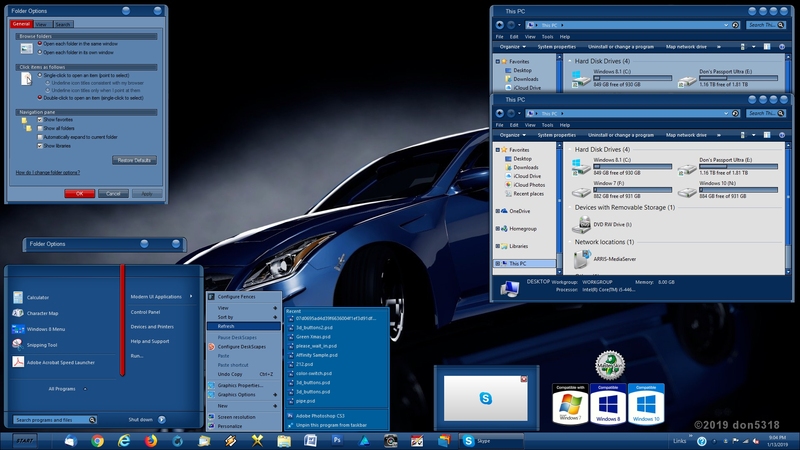 Has sub styles for Win 7, Win 8.1, Win 10, light/dark Explorer background, and a roll up button. Hope you enjoy it, and thanks for all your support, and to those that test my skins. Sweet hunk of blue heaven! Love it! Love the colors and overall design of this one Don! As other have said good blend in colors. Cool piece of work! As other have said good blend in colors. Thank you for creating this for all of us.